Need to have your message distributed to your existing clients? Want to reach out to your community to search for new potential clients? Let us help you execute your mailing project with style, efficiency and the greatest return on your investment. 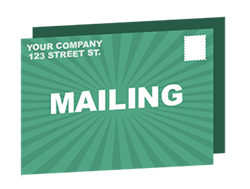 Contact us or request an estimate now to see if our mailing services can be useful to your business!